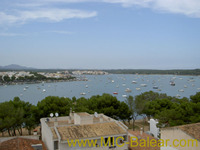 Apartment in Portocolom, in the heart of the village situated, some harbor view, ALL NEW! !, just renovated in 10.2018, 3 bedrooms, 1 bathroom, a useable area of 72 m². Storeroom/ laundry and part roof terrace with fantastic harbor view. 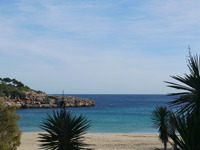 Up Floor Apartment in First Ocean Line situated, with Ocean View, 2 bedroom(s), 1 bathroom(s), a useable area of 75 m². 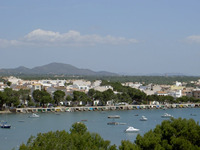 Ground Floor Apartment in Portocolom, Close To The Beach of SA Punta, 3 bedrooms, 2 bathrooms, a useable area of approx. 90 m². Terraces and large storage room. Duplex - up floor Apartment, First Ocean Line situated, with Harbor View, 3 bedrooms, 2 bathrooms, a useable area of approx. 76 m². This Up Floor Apartment, First Ocean Line situated, with Ocean View, has 2 bedroom(s), 2 bathroom(s), a useable area of 89 m². First Floor Apartment in the nice Village of Calonge situated, with Ocean View, has 2 bedroom(s), 2 bathroom(s) and a useable area of 84 m² and terrace of 12m².